Archive for the ‘Integrity’ Category. Caroline realized her teacher had made a mistake in grading a big test. More points should have been deducted which would have made her score lower. Grades especially mattered to this high schooler as college was on the horizon. I’m proud to say that my niece, Caroline, didn’t even hesitate to do the right thing. 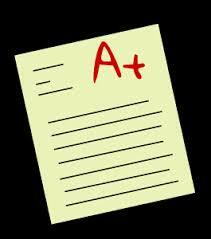 An added blessing is that her teacher appreciated her honesty and left the grade as it was. In contrast and during that same week, Caroline had a friend who got a good grade for something she didn’t turn in. Caroline had worked extremely hard and spent much time on this same project and was infuriated that her friend wouldn’t come clean with the teacher. Instead, the friend made up reasons to justify her action (or lack thereof). The more we can help our kids learn from other people’s good and bad decisions, the more prepared they will be when faced with something similar. Remember that you can quickly and easily find out what God has to say about any issue that comes up in Parenting with Scripture: A Topical Guide for Teachable Moments! The verses from applicable topics such as “Character, Integrity, Choices, and Example” are embedded and bolded below in a letter I wrote to my niece. It’s a bit lengthy, but I’d like to share the whole thing to show you how teachable moments can often be looked at from different angles. First of all, I realized that I couldn’t pass up the opportunity to positively affirm my niece’s wonderful choice! Also, it made for an excellent scenario to discuss with my kids as shown above and including the verses below. Can you see through this example how making use of teachable moments can be powerfully positive and proactive? It’s been a while since I’ve written you a letter and I’m thrilled for the reason to write you this one. I am so incredibly proud of the way you handled the situation with your grade! It would have been VERY easy for you to just let it slide and not say anything. In being honest, you risked a lower grade. That shows TRUE character and integrity! Both of those traits are just about the most important values in a person. I like to tell Kalli and Jake that character means who you are when nobody is watching. Meaning, if those things are found out, your true colors show. And your colors are glowing beautifully! Stark contrast to the sad colors leaking out of a certain someone. I’m grateful that Kalli and Jake have a cousin they can look up to as a positive example! Kalli had been listening to our conversation at dinner and wondered what was going on. I recounted the situation and we had wonderful discussion. You, my dear, chose the right way…the blessed way. Even if the teacher had counted off, it still would have been the right thing to do! For your steadfast conviction, I am smiling from ear to ear! These are some of the verses I shared with the kids about character, integrity, and choices. You are right on, girlie! Keep up that faith! Anyone else’s family enthralled by the athletic competition show American Ninja Warrior? Together we marvel at the strength of the competitors and are inspired by many of the back stories. Last Monday, area finalist Geoffrey Motil shared how he made bad mistakes through his 20s and 30s. However, he went on to say, “I’ve transformed all these horrible decisions into being honest…it’s on to a new road!” Woohoo! Durbins were set to cheer him on after that clip! He had barely begun the first obstacle when we saw him climbing out of the course, thereby disqualifying himself. What?! Nobody, including the commentators, could figure out what had happened. Geoffrey walked straight up to the interviewer and explained that he grabbed on to the back of one of the boards, an illegal move. In keeping with his desire to live honestly, he immediately jumped out of the course. If you wish to see the clip, click here. Then, fast forward to the time count of 14 minutes. *Did he keep going and hope that nobody would notice? *How would he have felt if he had kept going and made it through to the next round? *How long did it take him to make a right or wrong decision? Split-second! His heart clearly desires to do what is right! *How many people would have done what he did? *What would you have done? Remember that you can always expand and follow up on teachable moments later. In the moment, I paused the episode and we discussed it briefly. However, it wasn’t until a couple of days later that I followed up with adding in the value what God has to say about that man’s choices. Don’t let the timing keep you from making the most of it! Remember to grab your copy of Parenting with Scripture: a Topical Guide for Teachable Moments to help you find verses when something like this comes up! WOW….SO MANY great Scriptural lessons and principles can come from this real-life example! and whoever is dishonest with very little will also be dishonest with much. Discussion: How trustworthy do you think this man is? Why? Discussion: Would someone like this be a good or bad friend to have? Why? Discussion: What are the results of the actions he took? What would have been the results of his actions if he had kept going? Discussion: Is he a good example? Is being a good example always easy? Who would you admire more… him or someone who won dishonestly? Why? After our discussion about the related verses, we prayed through the verses asking for God’s help with each topic. I also added a petition for our Heavenly Father to help each of our hearts be ready to glorify Him in split second decisions through all our actions and words. I reminded my kids that we know nothing about this man other that we’ve seen on this show. We talked about how you can’t necessarily believe everything you see in the media, but that we hope it’s true. Even so, we talked about how everyone is human. Therefore, we should be careful not to put any person on a pedestal because none of us are perfect. That’s why our eyes should always remain on our Savior. Teachable moments are all around, especially through media, if we just keep our eyes, ears, and minds open to them. 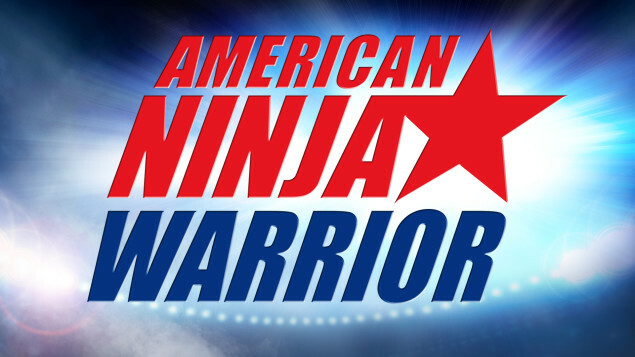 Are you ready to tackle parenting with Scripture like an American Ninja Warrior? With our Savior’s help, we will make it to the finals! enjoy the fruit of helping your kids connect God’s Word to their world! Clicking on the picture will take you to NBC’s American Ninja Warrior Site.